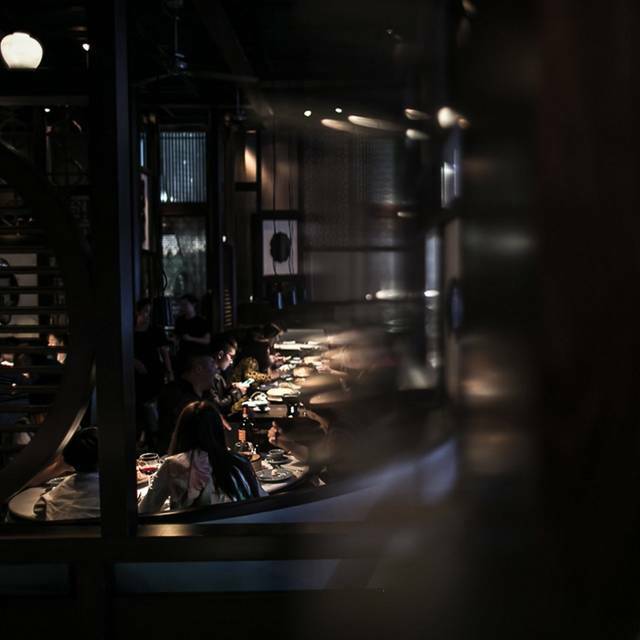 Signature Hakkasan dishes like Peking Duck with Caviar and Grilled Wagyu Beef with King Soy Sauce are served alongside a set of new dishes created especially for an Emirate clientele. The restaurant has fantastic food and beautiful place! Atmospheric restaurant , lovely food , good service , we sat outside which was nice as we sat on a comfy sofa type seat at a table meant for 4 but there was 2 if us . It was my Birthday and I was greeted with a friendly Happy Birthday from the lady at the desk and guided to our table . Fantastic restaurant, really Great Food, good service. We were outside, fantastic weather, maybe only missing some nice chillout music to increase the ambiance. A delicious Friday brunch which had so many different tastes and textures. Will look forward to another visit. Great service and food for my dad's birthday! The staff were very accommodating, would definitely visit again. 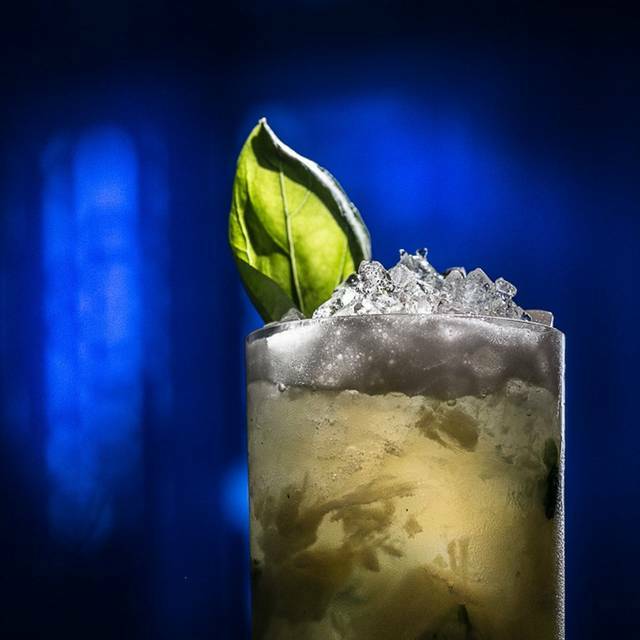 The cocktails in the bar are wonderfull; the problem is the music. It s to high : a continuos noise !!! The food is great : a must to taste are dimsum. Have been visiting Hakkasan multiple times in NY, Miami and London. It is great to maintain a compareable atmsophere and quality of hospitality and food across the world. 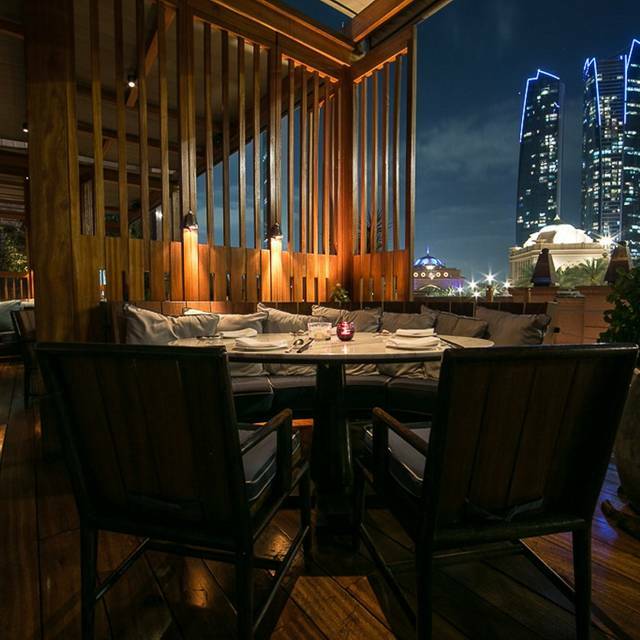 Abus Dhabi's Hakassan used the climate in a way that they had a kind of cabana's for outside dining. Great to visit! Great flavours as always and very helpful server. It was my husbands birthday and it was made a very special evening. Locale straordinario in un complesso fuori dal comune. Camerieri (quella che ci ha servito) non all’ altezza del locale. Great food, great fun, super expensive. Staff are nice. Tutu was an amazing hostess/waitress. Food was great as always. 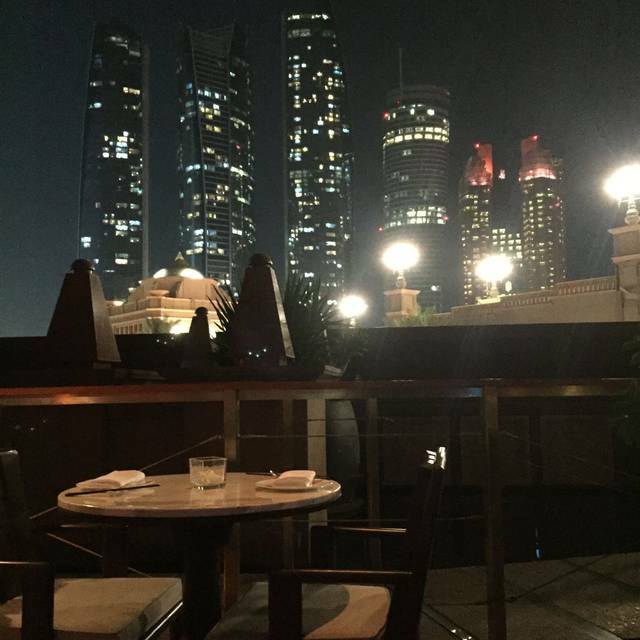 While Hakkasan London and San Francisco are absolute favorites of mine, Hakkasan Abu Dhabi is a catastrophe! Their menu is extremely washed down to meet the international crowd pleasing standards of Asian fusion food; forget totally their aspiration of "Cantonese cusisine" - laughable! Their menu choices are so lazy that they served lava cake as a desert in their big tasting menu. 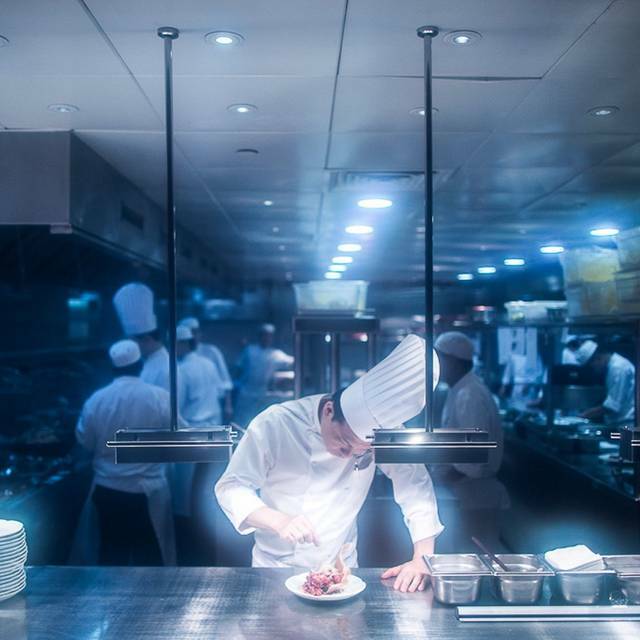 The only notion of a high end restaurant are their marvelous location and their price tag. Service was also extremely rushed, inefficient and most of the time even non-existent. Really a wasted opportunity to make a good restaurant! We arrived a little early so we could have a drink at the bar. I tried the Smokey Negroni … recommend it. As ever, Hakkasan delivered on the food. My only moan would be that we were seated near the entrance door to the restaurant. Every time someone opened the restaurant door, I would get a really chilling draft. At one point it was left open for a while and it was unbearable. I asked to move after the starters to another table. This fact was a disappointment, especially as they seemed to know about it. There were 4 of us and we chose 2 of the set-menus (Bamboo and Dragon, each for 2 people) and were not disappointed by anything. All of the dishes were excellent, even the 'side' dishes were delicous, and the portion size was great too. Everything was eaten by the end but we were left suitably stuffed afterwards. The price point of the restaurant means it's not somewhere you will necessarily go every week, but perfect location for a special occasion or when you feel like treating yourself. 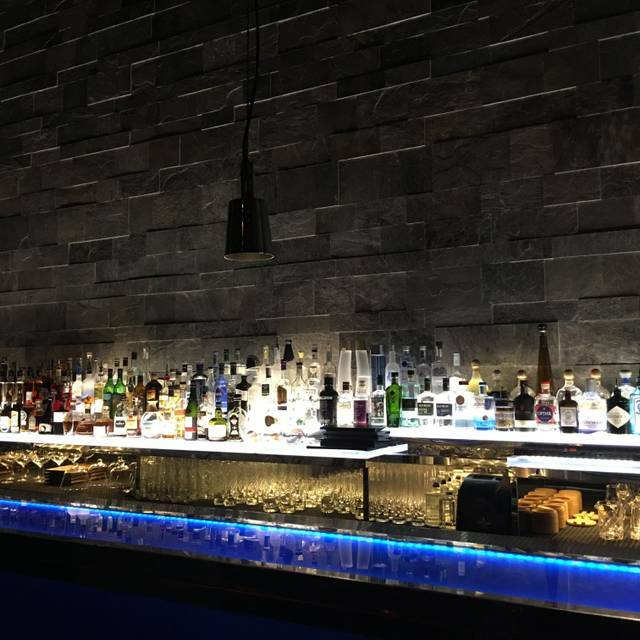 Great cocktails at the bar. Customer service by the bartender was amazing. Food quantity was good. We had to wait for 30min for a table after booking via open table. The food and service were outstanding. Jenny our attendant was fantastic. Very knowledgeable regarding the menu and size of portions. We were very impressed by her level of service. The food was simply great. We had a great night and would highly recommend this restaurant. Our food was beautifully presented and tasted great. It was a shame about the wind as we would have preferred to have sat outside. It was very quiet in the restaurant that day but the atmosphere was still great and it felt very private. Not that special vs the write ups. Avoid set menus. Unreal... the most delicious food, and I have never experienced such amazingly good service before. We are still dreaming about this food and service. We are veggie and the options were superb. Lettuce wraps and dim sum were exquisite. Would travel half way around the world again for this evening's experience. Odd that we could not package up our leftovers. Fried rice was regular. It was not tasty. Very expensive. a very noisy place where there is a huge number of Chinese tourists, children under 5 years old and others. they shout and litter, for such an institution it is not permissible. very long service, waited about 20 minutes for payment, the desserts were on the table for about 30 minutes. 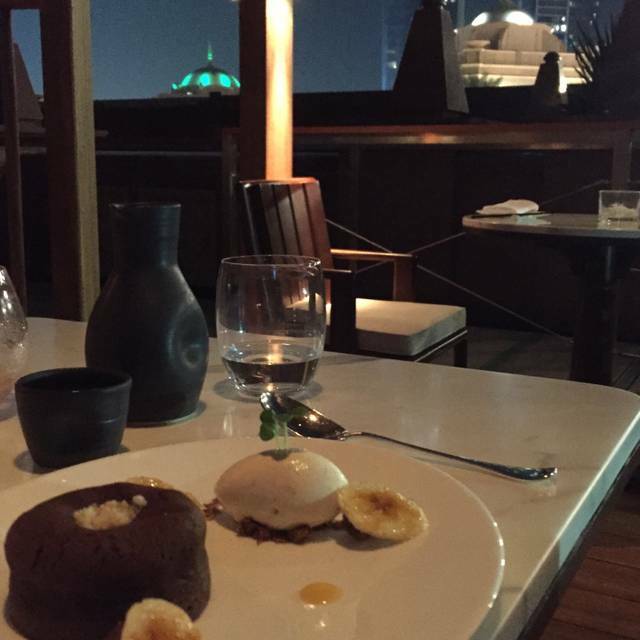 the food was quite tasty and well served, but the desserts spoiled the whole impression. regular ice cream, two circles ... in a restaurant where we gave $ 350 with wine. They expected to see something similar, like hakassan in london, but these are two completely different places. 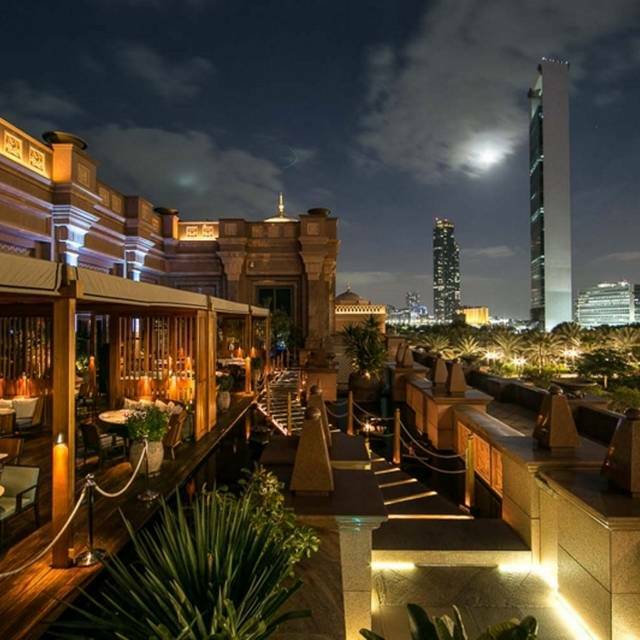 Hakkasan had a great atmosphere for Thursday night dining in Abu Dhabi. The service was terrific! I will definitely go back. I will need to try more of their food offerings before I can give them four or five stars for food. The food was tasty, but it just didn't meet my expectations. 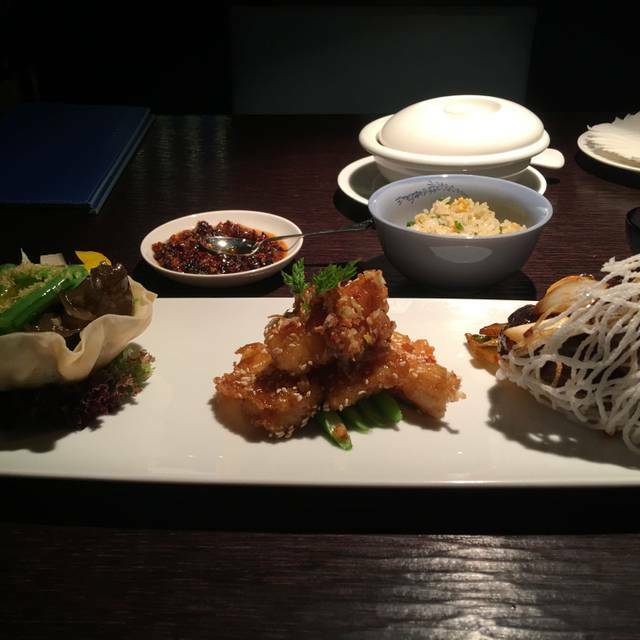 I understand that Hakkasan is Asian fusion, but I feel that the menu would benefit from more authentic Asian items (in addition to the fusion items offered). For example, a few more authentic Szechuan cuisine items, Japanese steaks, or Vietnamese soups. Volume of music should be adjustable. Although we requested to adjust the volume, it was rejected. Great experience like always at any Hakassan across the world. One of my favourite places! The food and ambience was really nice but the service was far too slow. The food came out really quick which was fine but we were left waiting for for ages when it came for them to clear the plates and even longer once we were given the dessert menu. We probably wasted around an hour waiting. I had a lovely evening celebrating my birthday at hakkasan Abu Dhabi. It was my parents first time and they loved it too! Amazing trip to Hakkasan, outside for drinks first to see amazing views then mmmm food is so tasty. Staff so helpful & friendly. Terrific restaurant. Wonderful, varied menu with something for everyone including our children. It is expensive, but a worthwhile treat for a special occasion.